Physiologically, gasless laparoscopy is less invasive than pneuomoperitoneum insufflation, allowing the surgeon to perform laparoscopic surgery in high-risk patients with conditions such as heart insufficiency, lung obstruction, and pregnancy. Exploring the benefits of lift-laparoscopy and its cost-effectiveness for patients, surgeons, hospitals, and the healthcare system, this text discusses the challenges involved with gasless laparoscopy, the range of applications of the method, and new challenges in the field. 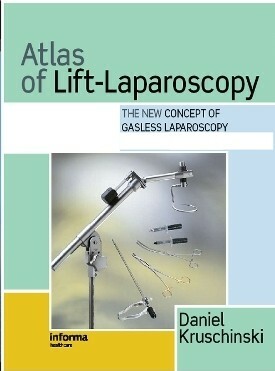 With complete coverage of surgical procedures, Atlas of Lift-Laparoscopy is a valuable guide to using this minimally invasive surgery.